Dinosaurs will once again take over Wollaton Hall as this October will see an international dinosaur festival enter the park. Tickets go on sale today. Through October half term – 20 October to 4 November, Wollaton Park will be transformed into a prehistoric world. Jurassic Kingdom: Where Dinosaurs Come To Life, is an interactive, life-sized replica experience, where the organisers promise you will see more teeth in one hour then you will see in your whole life. The creatures come to life, with their tails, eyes, heads and arms moving and will cause the odd jump or two; with their raging roars. While the 2017 Dinosaurs of China exhibition at Wollaton Hall wowed visitors with fossils and replica skeletons last summer, this show will offer a very different experience for visitors. They will not only have the chance to come face to face with a 26m long Diplodocus and the notorious Tyrannosaurus rex, but will also learn about them along with many other predators from over 200 million years ago. There will be further opportunities to learn as mini-dinosaur palaeontologists will be able to dig for bones in an excavation area. 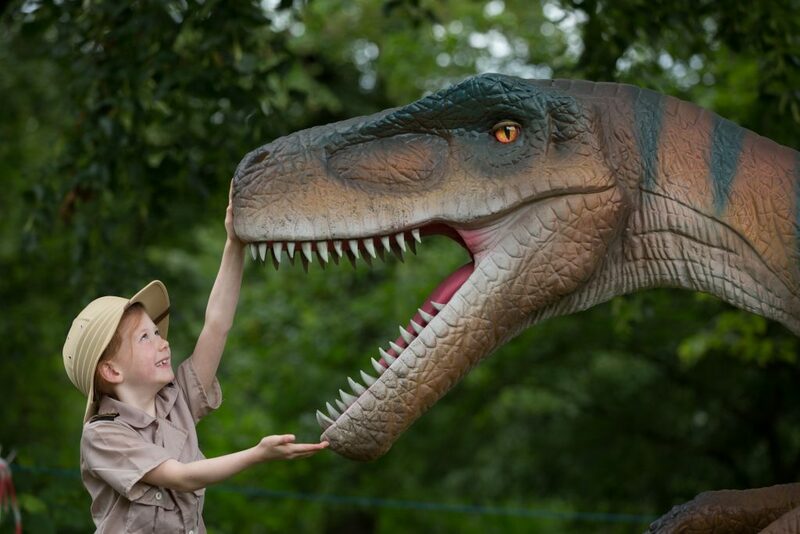 Over 30 dinosaurs will be ready to greet the public from Saturday 20 to Sunday 4 November, and they will be hiding all around the park, giving children a chance to experience their sheer size and scale. The show covers dinos from the land and air so remember to look up, there will be some in the trees! The experience also includes a 30 minute film produced by the BBC which will play on a large projection screen in the educational marquee for school groups and families to learn all about how dinosaurs lived. For anybody who gets peckish or thirsty, there will be a herd of street food and drink vendors to keep their energy up, plus a whole store of dino-themed merchandise. Ticket prices start from £11.50 for adults, £10.50 concessions, £9.50 for children, and £38 for a family ticket. Children under two go free. 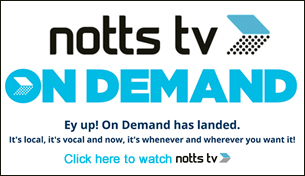 Tickets are available at www.whatsonnottingham.com from today – Wednesday 5 September. When selecting tickets, customers will be asked to choose one of the hourly time slots from 10am to 5pm. Once inside the event, visitors can stay as long as long as they dare. The exhibition is not open on Mondays and Tuesdays. Naz Kabir, Event Director at Weli Cultural Alliance; the company behind Jurassic Kingdom said: “We are extremely excited to bring our tour to Nottingham for the first time, this October. “We are the first outdoor, touring, animatronic dinosaur experience of its kind to hit the UK offering people of Nottingham the perfect chance to experience this exciting and educational tour.